The primary goal of clinical studies in primary sclerosing cholangitis (PSC) is to determine effective treatment and diagnosis methods. Challenges are manifold, but the lack of diagnostic markers for PSC and for cholangiocarcinoma in PSC means that both conditions are diagnosed late. PSC means that, unfortunately, PSC is the leading indication of liver transplant in Norway. PSC is a slow progressive disease with a course of one to two decades of identification from early stages of disease manifestations to end-stage liver disease.At present, no medical treatment with proven efficacy is available. Several compounds have been investigated in Phase I and Phase II trials. So far, the Norwegian PSC research center participates in the nor-ursodeoxycholic acid trial from the Falk Pharmaceutical company, but other drugs will also be tested. Ongoing studies also aim to determine the optimal mode of endoscopic therapy for narrow strings (dilatation or stenting). Another main topic of the clinical research group is to determine biomarkers for disease development, including markers that can be used to determine the effect of medical treatment. This includes biomarkers in blood and bile, along with evaluation of novel imaging modalities. Patients are also closely monitored for liver transplantation to determine factors that contribute to the development of the recurrent disease (occurring in 15-30%). Establishing diagnostic marking for PSC in patients with inflammatory bowel disease could be crucial for diagnosing patients before scarring of the bile ducts has become irreversible. 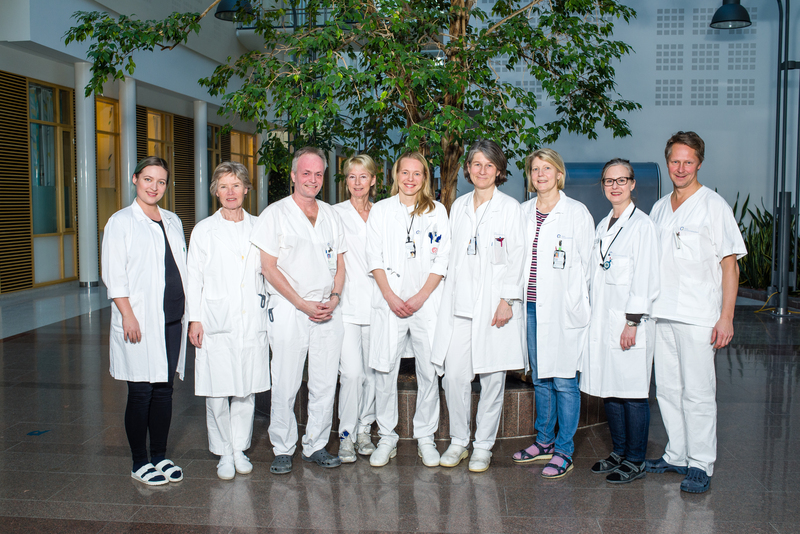 In collaboration with the Inflammatory Bowel Disease in South East Norway (IBSEN) study group, continuous efforts are focused on determining factors that correlate with even sub-clinical biliary tract changes on cholangiography in patients with inflammatory bowel disease.Likewise, it is a priority issue that determines biomarkers for pre-clinical cholangiocarcinomas in patients with PSC to allow effective treatments (Functional Genomics and Metagenomics Research Group). All studies located at the Clinical Research Group are conducted in close collaboration with the International PSC study group (www.ipscsg.org). Key investigators are clinicians, typically funded by Oslo University Hospital and Haukeland University Hospital. Some dedicated research hours are supported by the Norwegian PSC Research Center.